Are you looking for a fulfilling career with a good income and plenty of potential for growth? The skills of being a good listener with a sense of fairness and a dedication to seeking the truth may make a career as a mediator the right choice for you. Mediators have a long and sacred history that reaches back to ancient Greece, helping to resolve conflict. Historians found evidence that mediators were used during Phoenician commerce, and the Romans gave them their title. Always upheld and respected as the peacekeepers of society, the profession has grown and expanded to meet the needs of the people they serve. The art of mediation has been in high demand throughout history and continues to grow with each passing year. Mediators bring everyone together for discussions, helping and guiding the parties toward a settlement. Conciliators meet with the parties involved in a dispute separately, guiding them towards a settlement. Arbitrators are usually attorneys or experts in a particular field. They are an impartial third-party who hears and decides conflicts. Working alone or as part of a panel of other arbitrators, they can decide on procedural issues and could be required by law. Mediators are neutral and harbor no invested interest in the conflict or with any of the parties involved. The recommendations made by the mediator are not binding unless all parties agree to the settlement. Going into mediation allows the people engaged in an ongoing conflict to reach a mutual agreement, settling their differences instead of participating in lengthy and expensive court proceedings. Mediators conduct confidential, private hearings away from a courtroom setting. A meeting room, an office, or hotel conference room are good locations for a mediation. Working independently or for the court, you can set your own hours and work for many other businesses besides the legal services. State and local government, health care, civic organizations, human resources and social assistance are a few industries that hire mediators. Work in your spare time, or make it a full-time job of 30 to 40 hours a week with some negotiations requiring longer hours. You will set appointments for all parties to meet. Clarify the issues and needs of everyone involved and outline the mediation process. Conducting interviews with witnesses and all parties concerned, you will gather all the information about the conflict, then promote and guide communications while applying relevant policies, laws and regulations to reach an amicable resolution. There are many different areas of business, law and social needs that require mediation services. Depending on which specialty you choose to practice in with areas like labor management, adoption, probate and divorce, you will evaluate the documents like employer records, birth and death certificates, mutual assets and the applications required for the mediation process. Once the settlement is reached, you will prepare the agreements and have all parties sign. Creative communication skills, empathy and patience are a plus. Licensing and certification vary from state to state, country to country and specialty to specialty. All mediators need a bachelor’s degree in the field they specialize in like ethics, law, public policy, counseling or human resources. Some positions demand an advanced degree with a number of states also requiring you work under supervision to become qualified. Independent mediation programs on a national and local level give training. Colleges and universities are offering certificate programs in conflict resolution, a 2-year master’s degree in conflict resolution management and 4-year doctoral programs to supplement any existing higher education degrees. Most mediators are former judges, lawyers, and non-lawyers with an expert knowledge of law and government, a good command of the English language and have training in management and administration. Courses are offered in active listening, negotiation techniques, how to interpret body language and conflict management. The American Arbitration Association provides apprenticeships and specialized training. There is no one size fits all educational and training requirements to become a mediator. Confirm with the state or country you want to work in for their specific educational requirements. Critical thinking and the ability to apply reasoning and logic in determining the weaknesses and strengths of any alternative approaches and solutions to problems. Active listening is the ability to give your full attention to what is being said, asking questions when appropriate, and knowing when to remain silent. Complex problem solving to review information, evaluate options, and apply solutions. Information ordering that arranges things in a pattern or a certain order. Interpersonal skills to deal with disputing parties and maintain a civil, respectful discussion. Writing and reading skills for record keeping and evaluation of important documents with complex information. Decision making and judgment calls to choose the most appropriate actions that benefits the mediation to settle things quickly. If you hold a bachelor’s degree in a career related mediation specialty and have the qualities above, you may make a great mediator. A strong character, the joy of helping others settle their differences through communication and quick thinking in stressful situations are good requirements for a career in mediation. According to the U.S. Department of Labor Statistics, a mediator can expect to earn from a beginning salary of almost $30 thousand a year up to over $100 thousand annually with years of experience. The national median wage, according to the U.S. Bureau of Labor Statistics (BLS) for 2015, a mediator with a few years experience will earn about $61 thousand. Hourly rates can range anywhere from $20 to $50 with the median rate of $23.80 an hour. These figures are down slightly from BLS of 2014 where the average rates for a mediator ranged from $33 thousand to approximately $120 thousand annually. The future employment outlook for mediators is expected to grow by up to 15 percent by 2020 with an estimated 11,000 new jobs opening up. With legal costs on the rise and courts overloaded with cases, more and more people are choosing to settle their conflicts through mediation. Continued employment opportunities are on the rise, and predicted to grow steadily in the future. Helping people settle a dispute amicably and fairly is a rewarding experience. Mediators have been guiding people through the process of reaching a legal resolution for thousands of years, and they will be looked upon as peacekeepers well into the future. If you already have a law degree, all you need are a few hours of training and a certificate from a college or university accredited by the American Arbitration Association or the Association of Attorney-Mediators. Check your area for specific requirement qualifications. 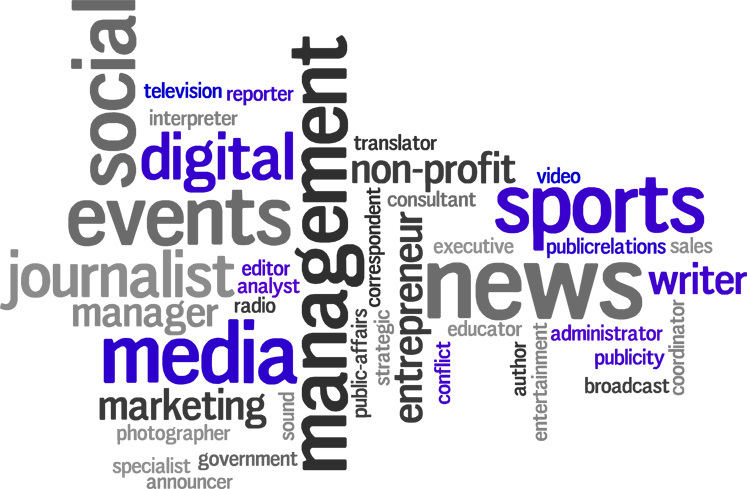 How Many Jobs Are Available In The Communications Field?